Seeing Daniel Lurie walking down the streets of San Francisco, you might assume he’s a young start-up exec. He’s clean-cut, casually stylish, and talks with a nerdy confidence that he can achieve his world-changing goals. His goals are indeed lofty: The 40-year-old is the founder and CEO of Tipping Point Community, a nonprofit that recently announced a $100 million pledge to cut chronic homelessness in the Bay Area in half over the next five years. It plans to spend the money on creating permanent housing and tackling the root causes of homelessness by improving the mental health, child welfare, and criminal justice systems. That’s a tall order: San Francisco has roughly 7,500 homeless residents, according to the latest count. In recent years, the city has boasted both the highest rents in the country and the highest rate of unsheltered homelessness. In 2015, 1 in 200 San Franciscans was sleeping on the streets. Lurie, a San Francisco native (no relation to the author), was raised by philanthropists. His stepfather Peter Haas, the former president of Levi Strauss & Co., has donated millions to early childhood development and education programs for the city’s poorest kids, among other causes. In 2005, Lurie founded Tipping Point with the goal of redirecting the region’s wealth to confront the city’s intractable poverty. The group’s funders include tech giants like Google, Adobe, and Apple, whose money is then donated a curated list of local education, employment, housing, and child development organizations. Lurie is well suited for the job: He’s connected with the city’s elite (he’s on a first-name basis with Mayor Ed Lee and Salesforce CEO Marc Benioff) and speaks readily about the poverty gap and the importance of teaching his kids to give back to their community. I chatted with Lurie about what Silicon Valley companies can do to help bridge the massive gap between Bay Area’s rich and poor. Mother Jones: Homelessness in San Francisco seems intractable. Does that give you pause? Daniel Lurie: No, I think that’s why we jumped in. This wasn’t a problem when I was born—there was not a homeless epidemic in the ’70s. Yet, we can point to federal policy, state policy, and city policies that have contributed to the increase in the homeless population. We have to start somewhere, so why not start where I think most things get started in this country—at the city level? MJ: Do you think tech companies are doing enough? DL: Some are doing a lot. I think every company can be doing more. I’ve been really energized by what I’ve seen the last couple of years. If you had asked me that question five years ago, I would have said no to 95 percent. 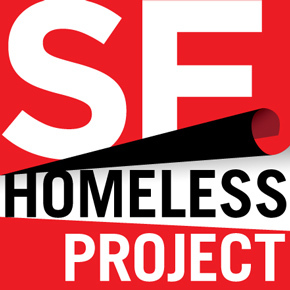 Now, you see companies like Google and Salesforce and AirBnB stepping up and getting involved in the homeless situation here in San Francisco. I think you see more companies realizing their responsibility from the top down. We’ve always seen it from the bottom up at these companies. The employees at these companies want to have pride in the place that they work. MJ: What are some prime examples of tech companies giving back in SF? DL: Google comes top of mind. I think if you had asked me about them six or seven years ago, I would have said, “They’re giving all their money abroad, and that’s their focus.” Now, they’re giving $11 million away to racial justice issues. They gave $50 million away here in the Bay Area last year. Everyone can always say, “Oh, they should do more.” We got to get these companies to start, and that’s a great start. MJ: Cynics often say that corporate philanthropy is just a PR move. What are your thoughts about that? DL: Our job at Tipping Point is to help as many people lift themselves out of poverty as possible. If we receive a $1,000 check from someone that really cares about the metrics, great. If we receive $1,000 from someone that wants to just feel good then move on, in our minds, that means that we have $1,000 more to help people. What I’ve learned in 12 years is, you’re not going to win everybody over. You’re not going to get everybody to care that you wish would care more. There are companies out there that simply believe that they are not in the business of giving back. They believe in creating shareholder value. I’ve had many executives say, “Listen, I pay my employees. I’m creating jobs. It’s up to my shareholders and to the employees to give back.” Those are not people we’re going to win over. I think you can create shareholder value by lifting up your community. I fundamentally believe that doing good is good for business—especially if you’re a local company with thousands or tens of thousands of employees. I think it’s a good retention and recruitment tool to be a good corporate citizen. Some people choose to make the business case all about the dollars. I’m not going to argue with those folks. MJ: When you talk to CEOs who are beginning to think about how to give back to the community, what do you recommend? DL: Start. If you’re a company that just went public, create a matching gift program, where you match every employee’s gift up to $1,000 or $10,000. That’s the first thing, that’s the easiest thing. Then, focus. Pick one to three issues that you as a company will get behind. MJ: What are your thoughts about the volunteer days that a lot of companies have, where they organize trips to places like food banks or homeless shelters? DL: We like to push companies to use the skills of their employees to volunteer. If you’re going to have a corporate day, where you’re going to go out and have your employees go paint schools or clean up the beach, great. Just be mindful that that can be more of a burden to a nonprofit than a help. Use the skills of your employee base to help a nonprofit or a handful of nonprofits. If you’re a marketing firm, or if you’re a law firm, you have a lot of knowledge that these nonprofits need. If you’re a company that has a search engine, help a group of nonprofits figure out how to become more searchable. If you’re a database company, donate your product. Back that up with cash, too. You should also be putting your money where your product is. MJ: The Trump administration is proposing a lot of big cuts to social services funding. What what does that mean for you guys? DL: I was speaking yesterday to the Association of Bay Area Governments. I said, “Listen, there’s no help coming from Washington. It’s got to come from you all, it’s got to come from the private sector, and it’s got to come from the nonprofit sector.” It doesn’t mean we stop, it just means we fight harder. Some of these companies are like small nation-states. The power that lies in some of these companies in this region to have an impact on our local community is enormous. So, we a need to present them with proven solutions that are working, and help scale them up. We still have a lot of dollars in Sacramento and San Francisco. Mayor Lee has just proposed a $10 billion budget. We have resources at our disposal. Can they make up for the cuts in the federal budget? No. Can it help us get through the next three years? Yes. MJ: Your optimism is impressive. DL: What’s the alternative? We can’t figure it out and we’re all just doomed? During a time like this, that is not what we need. I can just listen to my liberal podcasts, which I like to do, and I could go curl up for the next three years. I don’t think that’s what our community needs right now. MJ: What do you do when a homeless person asks for money? DL: I’ve stopped and talked to a number of people about where [social] services are located. I am not the person who hands out cash. I think it’s better to spend on entire groups. One other thing: Make eye contact. Just say hi. It’s actually really simple, but doing what you would do to any other person that would be walking towards you is essential. They’re our neighbors.